doors in the 1880s as a circus theatre. drama, cabaret nights, opera and ballet. The latter are often staged by the Netherlands Opera and the National Ballet companies. Famed local performers and international stars appear on the stage of this majestic theatre house that truly strives to deliver top-notch entertainment to all. 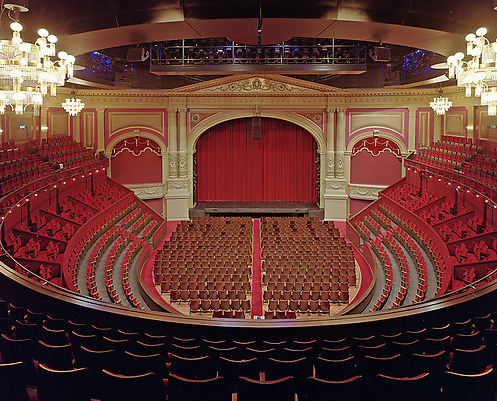 Following extensive renovations in the mid-noughties, today the Carré is more beautiful than ever and with seating capacity that was extended to well over 1700. The historic theatre building was modernised without losing an ounce of its old-fashioned ambience and traditional charm. Beside watching fantastic performances, visitors are also invited to take a guided tour through the backstage areas. Such tours are only available on Saturdays at 11 o’clock and offer a unique opportunity to take a peek inside the elaborate work process that goes on behind the curtains. To complete the experience book a dinner at the theatre restaurant – Oscars. The restaurant offers fine dining and fantastic views over Amsterdam from its top floor location. 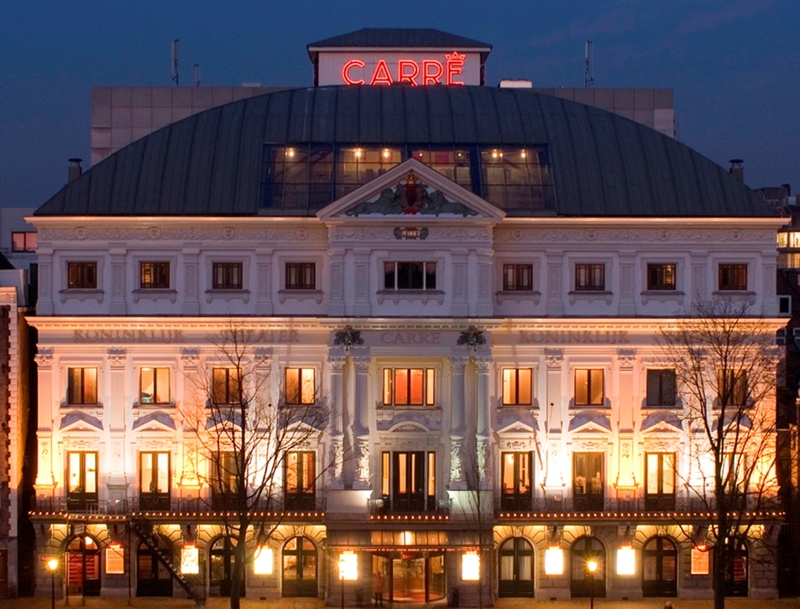 The theatre boasts a prime location on the northern bank of the Amstel river within the historic Canal ring. The nearby Prinsengracht and Keizersgracht, two of Amsterdam’s oldest and largest canals, are lined with period buildings and historic landmarks. There are several museums and palaces in the area, all within walking distance from the Carré and all worth visiting. The Jewish museum offers an exciting insight into the life and culture of the Jewish community that has played an important role in the history of the city for centuries. Visit Rembrandt house where Amsterdam’s most celebrated artist lived and worked for the most of his life, and where today you can see many of his paintings. The area around the theatre also has a history of attracting the wealthiest people in Amsterdam and this is evident in its historic mansions. The pompous Geelvinck Hinlopen house and Museum Van Loon, the family house of the founder of the East India company, are two magnificent mansions open to the public daily. The Museum Willet-Holtuysen displays the rich art collection of its last owner – the bohemian and art lover Abraham Willet. All those historic mansions feature grand palatial interiors, impressive art collections and hidden landscaped gardens that reveal the rich history of the city and its artistic traditions. 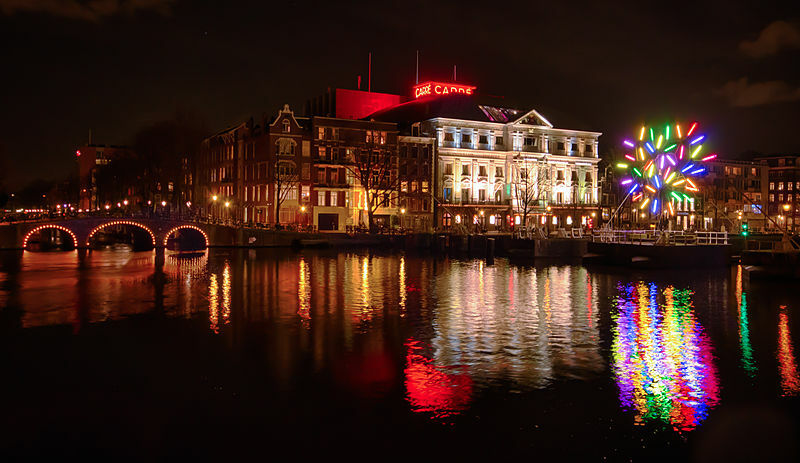 Stay in the vicinity of the Carré and you can easily combine a visit to the theatre with sightseeing and tours around Amsterdam’s historic centre. There are lots of restaurants, cafes and shopping outlets in the area. You also have a wide choice of transportation – metro, tram and boats can all get you anywhere in Amsterdam in a matter of minutes. Yet, walking and taking in the city on the go is the best way to experience all those breathtaking surroundings. To enjoy truly memorable views throughout your entire stay simply book accommodation in a canal house or a houseboat.